Primary goals: the liberation of Northern Ireland and establishment of a united Irish state including Ireland and Northern Ireland. Area of activity: Britain (England and Northern Ireland) and Ireland. Strength: approximately 100 active members. Primary funding sources: smuggling and illegal trade in goods as well as donations and aid money. Some mistakenly believe that since the signing of the Good Friday Agreement of April 1998, peace was spread in Ireland, that has seen a long and bloody chapter of violent battles. Indeed the older brother, the Provisional IRA, accepted the conditions of the historic agreement and even responded in kind when, a few years later, it was disarmed under international supervision – but the younger brother, the Real IRA, defined as an active terror organization by the countries of the European Union and the USA, is still alive and kicking. The “Real IRA” (RIRA) is an extreme faction of the mythological IRA (Irish Republican Army). It was established by the organization’s activists who opposed the peace agreement that was signed in Ireland at the end of the 20th century. This underground faction is now considered the strongest and most active resistance organization working against the British forces, and it is justly defined as a terror group. In the short and violent history of the small organization, there have been numerous terror acts worthy of any terror group. The organization’s activists murdered 2 British soldiers in March 2009, the first to be killed on Irish soil since the signing of the peace treaty. They were also responsible for a number of showy terror attacks in the center of London to great effect both on and off the British Isle – such as the firing of RPGs at the MI6 headquarters (British intelligence organization) and exploding a car bomb in front of the BBC headquarters. Above all will be remembered the terrible attack in the small town of Omagh in August 1998. RIRA members exploded a car bomb in the town’s busy market, killing 29 people and wounding 220, making it the most lethal attack in the history of the conflict, claiming the greatest number of victims (double the number of dead from the events of Bloody Sunday). And if anybody had any illusions regarding the moderation of the Northern Ireland terrorist organization’s ambitions, the arrest of Seamus McGrane, a RIRA senior official and one of its founders, will have alleviated any doubt. McGrane was sentenced and imprisoned recently for planning the assassination of none other than the heir to the British throne, Prince Charles, when he made a royal visit to the region. McGrane was recorded while planning the assassination with another organization operative and when a search of his house was undertaken, an arsenal complete with many weapons and explosives were found. Meanwhile on the financial front, the RIRA is far from idle. Despite the efforts of customs authorities and security forces, the organization’s leaders have refined their fundraising abilities and manage to pocket tens of millions of dollars per year, mostly through their sophisticated global network that smuggles and sells cigarettes and tobacco. The tobacco smuggling industry in Britain is thriving in recent years, bringing in huge sums of money. A special report produced by the international accounting firm KPMG suggests that the illegal cigarette trade on the black market in Britain is among the largest in Europe. In 2016, approximately 5.55 billion cigarettes were sold illegally – with a black market value of around $1.1 billion annually. 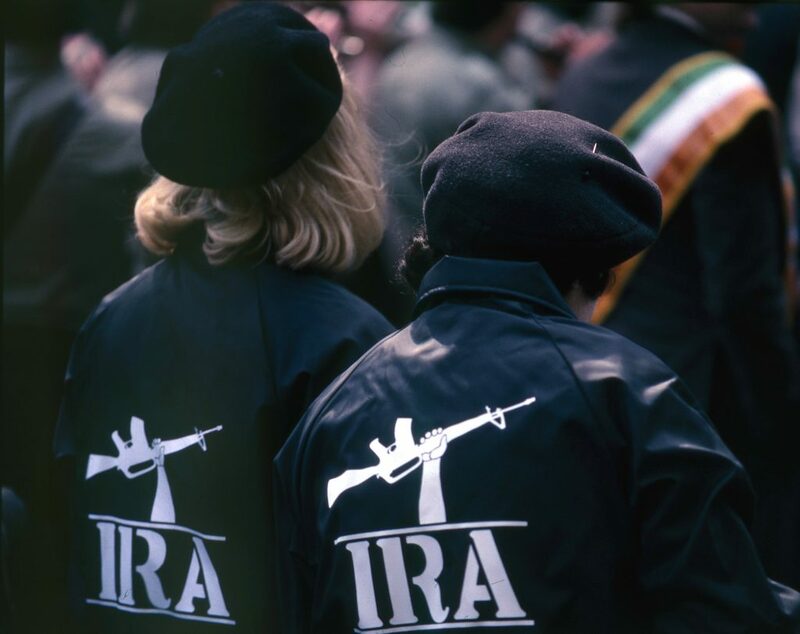 In a special investigation done by the British newspaper The Sun, senior government officials declared that IRA members (including the Provisional IRA) are responsible for about 40% of the illegal tobacco market in Britain, and with the profits generated by this industry annually, tens of millions of dollars in royalties go directly to the RIRA. In spite of the relentless fighting on the part of the legal authorities and the heavy pressure exerted against illegal smuggling and the pirate production of tobacco, the crime and terror organization recently got an unexpected boost from parliament – thanks to the same law that forbids the branding of packets of cigarettes and rolling tobacco. According to experts, the passing of the law significantly simplified the forgery work required of those profiting from black market tobacco and is expected to channel tens of millions of dollars more their way with a hefty portion expected to go to the RIRA. Apart from illegal trade in tobacco, the radical Irish organization also enjoys the significant royalties coming in from their pirate network of falsified alcohol and fuel products as well as protection fees that they collect – especially in those areas under their influence in which the police enforcement is low. 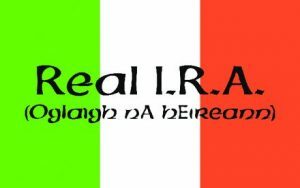 An additional source of capital for the Real IRA, according to the US State Department Report on Global Terror, comes from supporters in the large Irish community in the USA. The underground Irish organization knows well how to exploit this wealthy target audience, and raises funds on the support of Irish-American activists who oppose the peace agreement.